Committed faculty with extensive backgrounds either as a participant in or leader of international study opportunities. Degree that complements other majors and minors such as human relations, business and mass communications. Active student groups that are competitive, inclusive and provide leadership opportunities as well as social interaction. Extensive on-campus and community activities that enhance multicultural learning and perspective. 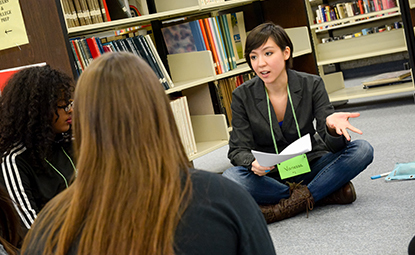 Ten scholarship funds focus on communications studies. Notable alumni: Justin Wampach '95 is owner, president and chief executive officer of Adjuvant Technologies, a provider of software for physician scheduling and an on-call management system, and co-founder and former president of Digital Green. Brian Schoenborn '92 counsels businesses in sports, entertainment, high technology and manufacturing as managing partner of Leonard, Street and Deinard.